If you’re a human living on planet earth, it was probably within the last hour. And chances are if it was during working hours, you were searching for some way to improve. To learn. To solve a problem. To build something. Or get inspired. Then you clicked enter and were hit with a deluge of “best practices”. Google, and really, the internet in general, is paved with listicles and simple tricks and “the one thing” and…..well, you get the point. Advice is reduced to its lowest form, oversimplification, in order to achieve volume, (hopefully) generate traffic, and avoid the really hard stuff–vulnerability. But what works for me won’t necessarily work for you. However, the lessons I learned from failing and finding what worked (and the process of learning them)? That’s repeatable. But to share that requires an openness to vulnerability, which most companies and teams are conditioned to avoid at all costs. It’s not even a conscious choice, really. You just don’t convey weakness or vulnerability. Ever. Without it, all that’s left is the watered down, “motherhood and apple pie” content that populates your Google searches. Ground Up has a different story to tell. When we set out to create a podcast, we wanted to focus on the substance behind the success stories you often read about. The sweat, failures, conflicts, broken egos. The ugly stuff. And while ultimately most of the stories we tell will be ones of redemption, we also feel they’re a more accurate portrayal of what it really takes to build something from the ground up. Because it’s really freakin’ hard. You can do everything right on paper and still fail. That’s why it’s important not to glorify best practices, but instead the stories of redemption that people and companies go through and live to tell about. Every week we’ll talk with guests that have built things, from subscriber lists to public companies, to hear more about the trials and tribulations that led to their eventual success. In doing so, we hope you’ll find the inspiration and direction to fuel your own success. No best practices. No hacks or simple tricks. Just the truth about the hard stuff that goes into building something from the ground up. Today, we’re officially launching Ground Up along with our first two episodes. 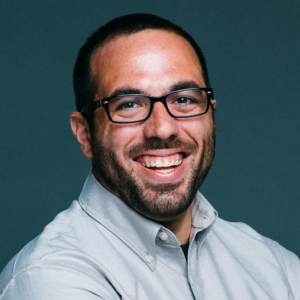 To kick it off, I interviewed Databox’s very own CEO, and creator of the HubSpot Partner Program, Pete Caputa on how he overcame internal friction to build the HubSpot Partner Program into a global community that now represents ~40% of HubSpot’s annual revenue. Episode 2 features Pamela Vaughan, who works in growth and web optimization at HubSpot. Pamela has been with HubSpot for nine years and takes us behind the scenes on the challenges of growing the HubSpot blog to >4M monthly visits, as well as the evolution that needed to take place to continue scaling marketing efforts to meet the company’s aggressive growth goals. We look forward to having you as a listener. Anyone specific you’d love to hear as a guest? Comment below and we’ll try our best to make it happen.